Everybody knows that they should save for the future but monthly bills and expenses can seem much more important. Trying to balance your everyday needs with planning for the future can be a difficult thing to achieve but just small changes can add up in the long run. Whether you want to save for a house, prepare for a family or plan for retirement, taking a few simple steps can leave you feeling much more at ease that you are taking practical steps to prepare for your future. There are all sorts of things that will happen in your future that you may want to start saving for now. If you are young and trying to get a foot on the property ladder then perhaps you want to save a deposit. Maybe you are planning to get married or start a family and want to be prepared. Or you could be saving for your retirement whether that is in 5 years or fifty. How soon you need the money will make a difference to how you decide to save. If it is something that is happening in the short term then you want to invest as much money as quickly as possible and may have to take a few more risks to get it multiply. If you don’t want to touch the money for a number of years then putting in a fixed bond will help you incur more interest. 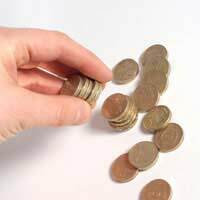 Saving your pennies is something your Grandma may have gone on about but it is useful advice. Even if money is tight, saving small, regular amounts will get you started and will add up over a long period of time. Try to set up a direct debit so you get used to the money leaving your account and don’t need to think about it. If you get birthday money or a bonus, put a percentage of it into your savings to give it a boost. You may want to think about choosing more than one of these, especially if you have a number of different goals that you are trying to save towards. The future may seem like a long way away and you are much more concerned with dealing with the present. However, the future soon creeps up on us and if you haven’t saved for any of life’s big events then you may struggle to move through life smoothly. Buying a house, getting married, having children and retiring are all life changing events and it is sensible to save for them appropriately so when they come round you have the time and money to enjoy them.